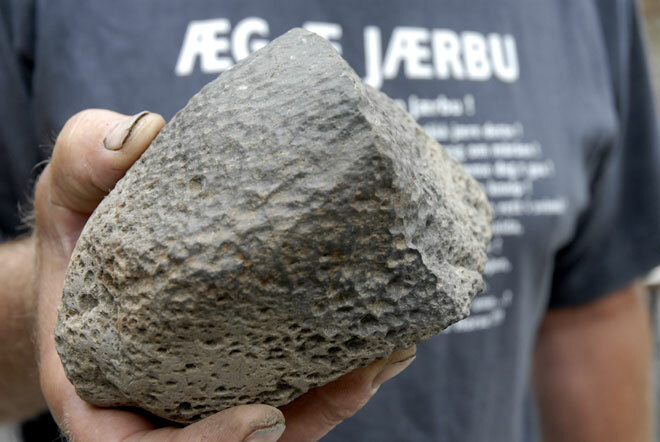 Another Meteorite Lands in Norway? [meteorite-list] Another Meteorite Lands in Norway? experts are calling the incident sensational. Orre, in the Jæren district just south of Stavanger in Rogaland County. filling it in," Herigstad told local newspaper Jærbladet. the oddest stone I've ever seen," he said. 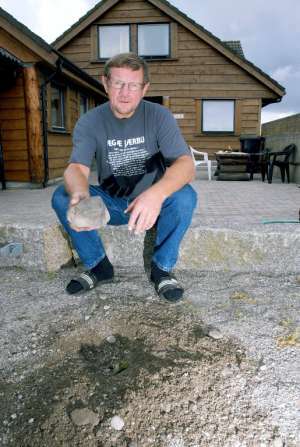 meteorites land on Norway as often as every month, but most are never found. size would have created such a hole. This is incredibly exciting." sensational is that it fell so close to a house. That's extremely unusual." prices as high as NOK 700,000 (more than USD 100,000). too expense, and then this falls out of the sky," he said with a laugh. in Oslo says he thinks it's just an ordinary earthly rock. Raade, who has worked with meteorites for 25 years. should have sought more professional opinions before contacting the media.